SAN FRANCISCO (KGO) -- We're celebrating Irish heritage and St. Patrick's Day here in the Bay Area. This Saturday, ABC7 will show the San Francisco St. Patrick's Day Parade both online and on TV! 7 On Your Side's Michael Finney will be hosting the event to celebrate Irish heritage #WhereYouLive. Please join us! 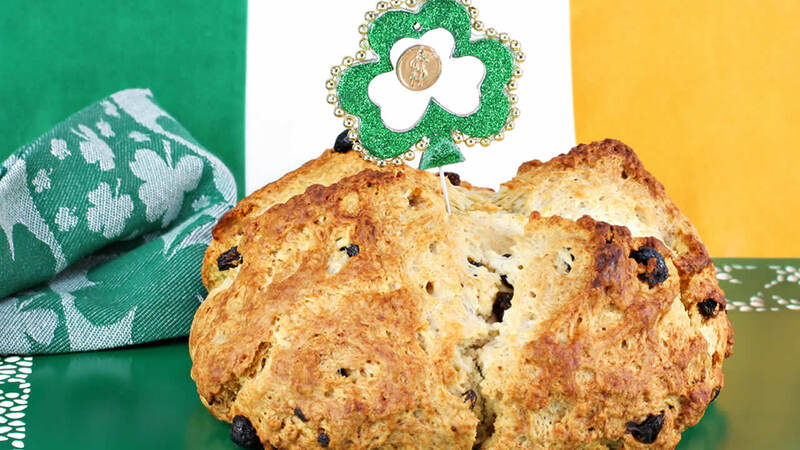 To get you in the spirit of this holiday, we'll be providing recipes to classic Irish dishes. This recipe is from Java Beach Cafe. It's an Irish-American interpretation of a Motherland classic. In large mixing bowl gently whisk ingredients: flour, baking soda, salt and cream tartar. Then, add sugar; mix again. Create a hole in the middle of the dry ingredients and gently pour creme fraiche one cup at a time. With a wooden spoon, stir each cup in completely before adding the cup. Stir in raisins last. This recipe is for corned beef from San Francisco's United Irish Cultural Center. Click here for full coverage on the St. Patrick's Day Parade in San Francisco.